My wife, daughter and I stayed here for a week in February. The place is accurately described as advertised. Finding the condo for the first time was a challenge as there is a lot of construction and many different exits from Shibuya train station that lead us in the wrong direction. The first two days of our trip were very cold. And the heater in the condo was inadequate due of the lack of insulation from the sliding glass doors. The heater ran contently an could not reach the maximum setting of 30 degrees Celsius. Also, the bandwidth on the WiFi is very slow. Any more than two connections will bring the system to a halt. But if you are looking for a less expensive place in a good location then this may fit your needs. Masse and Marissa's apartment was comfortable, clean and in a great location: very close to the station, shops, restaurants etc. It was perhaps a little small for four Australians but we only had four people for two nights so it was okay. It was very well appointed with toiletries and detergents. The heating could be improved a little. We had an air conditioner but it was not effective enough to keep us warm. The space for our 6 days was perfect especially for the value. We really loved how spacious it was including the outdoor space. 5-7 mins walk to Shibuya station is great with many cafes, restaurants, and bar options nearby. The only possible negative maybe that the main nightlife bar/clubs is 20 mins and more walking but it's still doable or cheap taxi away. Overall great stay and would stay here again. A fantastic flat to stay for our Tokyo holiday. Nice and tidy, clean. 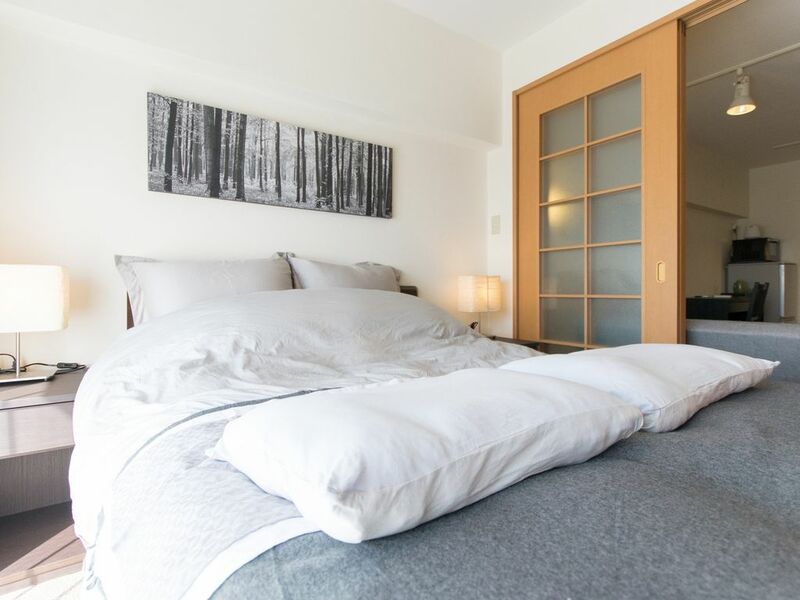 Great location, very close to Shibuya station so easy to get around including to and from Narita airport. Would definitely stay here again. Thank you Marissa. Marissa is a friendly host. She provided helpful info to get to apartment. Apartment is nice, clean and spacious; quiet neighborhood and close to station. We enjoyed our two weeks stay. Will definitely come again. Thank you very much.